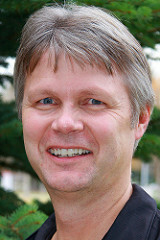 Craig was born on May 6, 1957, and grew up in Columbia Falls. A basketball legend in high school, he got a scholarship to play basketball for the Montana State University Bobcats, ranked fourth in school history in scoring with 1,473 points, and was inducted into the MSU Hall of Fame in 2003. After a short professional run with the Portland Trail Blazers’ summer league team and a season in the Continental Basketball Association, Finberg returned to Columbia Falls to work for his dad, who owned the Columbia Bar. Still a few credits shy of graduation, Finberg got an opportunity to join Montana-Western’s coaching staff as an assistant in 1984 while finishing course work for a bachelor’s degree in secondary education. He coached Dillon's Beaverhead County High School team for 18 years. “Basketball has enabled me to be around a lot of great people,” he said. “It’s been a big part of my life.” Craig "Finny" Finberg, 51, died at his home in Dillon, on March 20, 2009, after a courageous battle with pancreatic cancer.